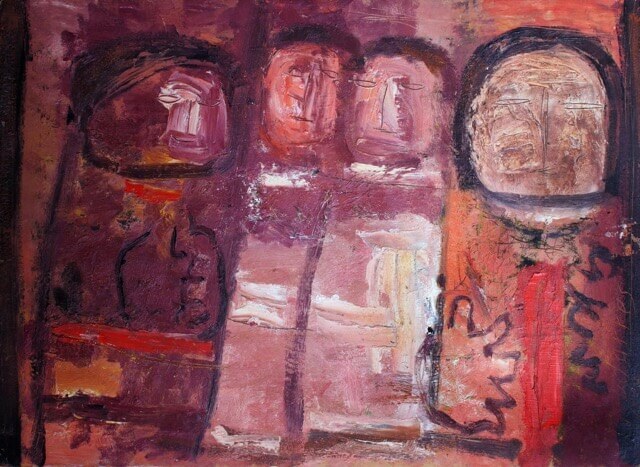 Ranch Girls (1965) by Syrian painter Fateh al-Moudarres (Photo: Jalanbo Collection). The mission of art is to enrich human heritage with creative insights, which, however small, are of great significance in building the future, because art is the addition of new perceptions to human heritage. In our opinion, the mission of art criticism is the direct observation of the emanations of the work of art. The revolutionary nature of art is inevitable and natural, because we see in every work of art a new human take on existence. The sentences above are part of the Manifesto of the Plastic Arts Movement in Syria, published in 1962 in the newspaper Sawt al-Arab. They are part of Modern Art in the Arab World: Primary Documents, published by the Museum of Modern Art (MoMA), in New York. The book is a panorama of modern Arab art based on carefully selected primary documents, many of which are translated into English for the first time. Intended as a reference for the classroom and a catalyst for new research, this is an ambitious, fascinating volume. This is the eighth entry in MoMA’s Primary Documents series, which has focused on Swedish modernist design, contemporary Chinese art, and modern art in Argentina, Brazil, Venezuela, Japan and Eastern Europe. Putting together this volume “felt like a once in a lifetime chance,” says Anneka Lenssen, an assistant professor of global modern art at the University of California at Berkeley and one of the book’s three editors. Her co-editors were the independent scholar Sarah Rogers and Nada Shabout, a professor of art history at the University of North Texas. The idea for the volume dates to 2009, but it was in 2012 that the scholars realized that the renowned MoMA series would be the “perfect home” for it. The book, which is organized chronologically, contains source materials ranging from 1882 to 1987, with brief introductions to different art schools and movements. These documents include “manifestos, essays, transcripts of roundtable discussions, diary entries, exhibition guest-book comments, letters, and more,” according to a description on MoMa’s publications webpage. Between translators, advisers, researchers and scholars who lent a helping hand, Lenssen estimates that upward of 50 people contributed to the volume. 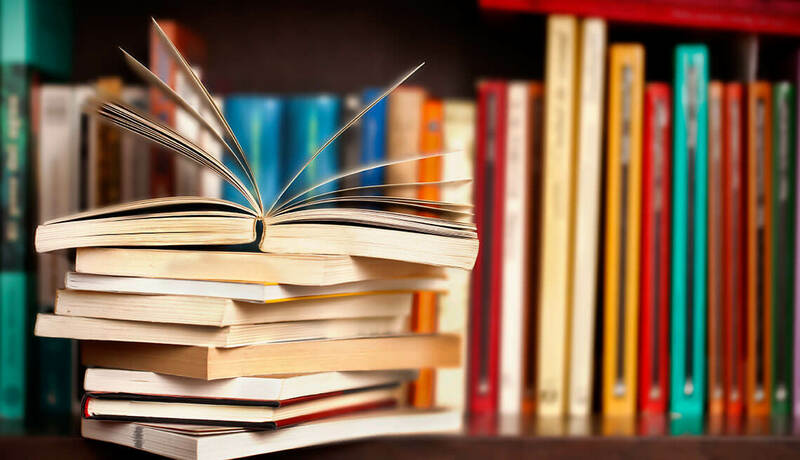 The focus on primary documents favors texts that were at the center of a debate, discourse, or artistic practice, rather than critical, historical or interpretative writing. The book is artfully calibrated. There is just enough context to situate the reader, but the texts are largely left to speak for themselves. There is an overarching narrative, but also a sense of immediacy, of following along as history unfolds. The book’s editors wanted to provide an alternative to the very structured, generational narratives that have usually been promoted by national ministries of culture, in which, says Lenssen, the complexities of practice and the histories of dissidence are often suppressed. At times the effect can be poignant: One reads passionate declarations by young artists, describing the role they intend to play in futures that in many cases never came. 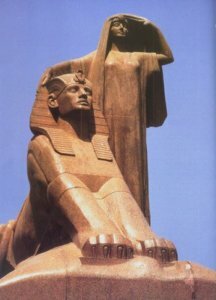 Egypt Awakening, by Egyptian sculptor Mahmoud Mokhtar (1891-1934) (Photo:Wikipedia). In many entries, artists are simply trying to define art, and what sets modern art apart—to say what it does, why it matters, what its role and value are. A frequent question for artists and intellectuals in North Africa and the Middle East is how to incorporate Western influences while developing a unique, local art in relation to one’s context; how to be innovative without jettisoning one’s heritage. In some cases there are barbed exchanges between artists and critics and reviewers – such as the one between the early 20th-century Egyptian sculptor Mahmoud Mokhtar and an influential critic who found Mokhtar’s famous Egypt Awakening sculpture aesthetically and conceptually unconvincing. There are letters showing how under colonial authorities, artists demanded greater opportunities to study, work and exhibit; and writings that illustrate how, in newly independent states, they debated what it meant to participate in exhibitions sponsored by their former colonizers, and what role their work could or should play in constructing new post-colonial societies and consciousnesses. “What does painting bring to the people, to the revolution, to socialism?” asked Algerian artist Mohamed Khadda in 1964. The artist’s social and political responsibilities, and his or her personal freedom, are frequent questions. The prison memoir of the painter Inji Efflatoun, who was jailed from 1959 to 1963 during a crackdown on Egyptian communists, details her travails obtaining painting materials, the portraits she painted of common criminals whom she recognized as the victims of social injustice, and the way prison authorities confiscated many of her works, or demanded paintings as bribes. One of Efflatoun’s surviving paintings – a view of tree branches from her prison window, which she painted obsessively – is included. It is just one example of the way the interplay between text and image deepens one’s understanding of an artist’s work. No one dies of hunger, thirst, or life. One can only die from renunciation. Modern society is a society of cops. We are revolutionaries, because the police are the supreme force of this society. We are not for another society, because the police are the supreme force of all societies. We are not nihilists, because we do not grant power to anyone or anything. We are Lettrists who wait, for want of something better. We have become aware of the extremely regressive nature of all salaried work. … Moreover, we are geniuses: know it once and for all. There are many more passages worth quoting; this book is a such a rich source of discovery and insight that it inspires a desire to share. Luckily, efforts are being made to make the volume as accessible as possible. The book is being distributed by Duke University Press. MoMA’s International Program is “hyper-committed to getting this out to as many libraries and universities and readers as possible,” says Lenssen, and is mailing it to an initial list of Arab universities and libraries. In addition, all of the original documents that can be shared under their copyright conventions can be found online on the site of the Association for Modern and Contemporary Art of the Arab World, Iran and Turkey.